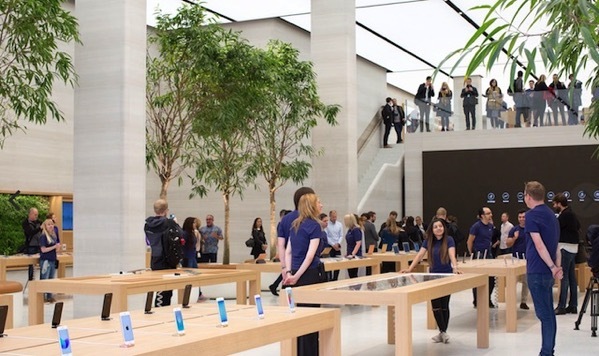 Apple’s flagship store on Regent Street, London, which is scheduled to re-open to the public following over one year of major renovations on Saturday, October 15 at 10:00 a.m. local time, has been given a radical makeover. 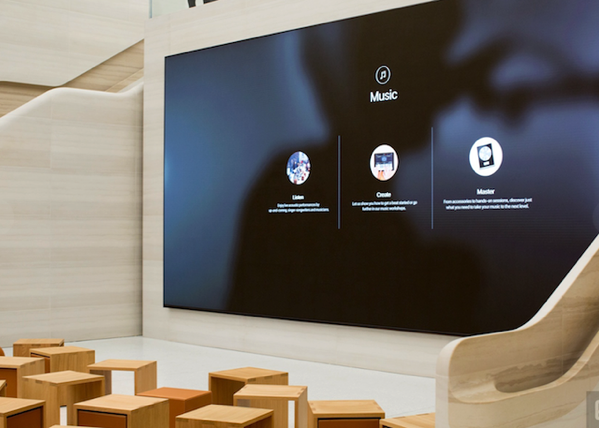 Photos of the revamped Apple Store obtained by Engadget reveal a double height “grand hall” which replaces the old glass staircase and much of the first floor. The hall also features Twelve trees and some circular sofas, which are made from Rolls-Royce leather. 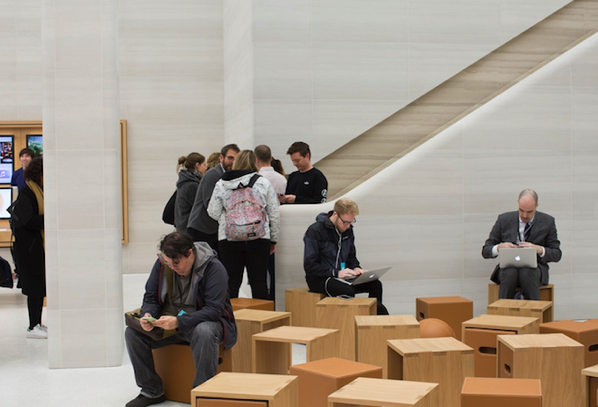 The renovated Apple Store features two staircases made from a pale Castagna stone. Climbing the stairs takes you to a smaller space upstairs, where Apple’s new “Creative Pros” will teach you about specialised software. 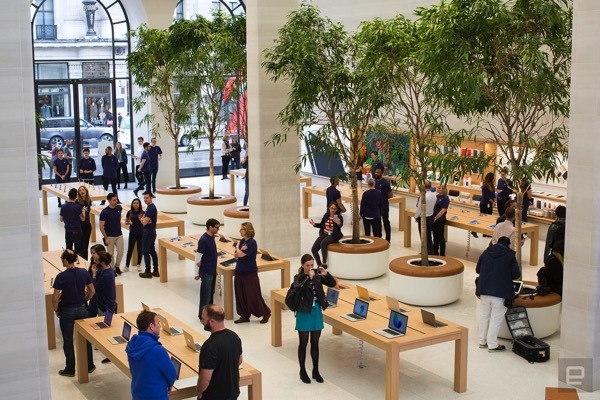 “It feels pretty spacious, although I suspect that feeling will disappear when hundreds of customers are battling for an Apple Genius. The store also has a fresh, earthy look. In addition to the new trees, Apple has added some wall panels covered in foliage. The tall glass windows still reside at the front of the shop too, meaning there’s plenty of natural light pouring onto the demo units”. Earlier this year, the same design concept was rolled out in the US as well, which has even put together by Foster+Partners, although Regent Street is the first location in Europe to receive the new treatment. For those who aren’t aware, it is the same architecture firm that designed Apple’s new spaceship campus.